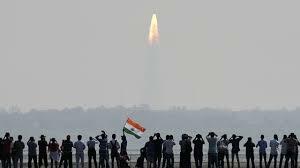 India plans to launch on May 5 the 'South Asia Satellite' that will benefit all the countries in the region, except Pakistan which is not a part of the project. "It's going up in the first week of May," Indian Space Research Organisation (ISRO) Chairman A S Kiran Kumar told PTI in a telephonic interview. According to ISRO sources, the launch of this communication satellite (GSAT-9) is scheduled for May 5 on board the space agency's rocket GSLV-09 from Sriharikota spaceport. Kiran Kumar said the satellite, with a lift-off mass of 2,195 kg, would carry 12 ku-band transponders. "Pakistan is not included in that. They did not want (to be part of the project)," he said. Sources said the satellite is designed for a mission life of more than 12 years. Prime Minister Narendra Modi had made an announcement about this satellite during the SAARC Summit in Kathmandu in 2014 calling it a "gift to India's neighbours." "It (name) was changed to this (South Asia Satellite) because of that only (Pakistan not being part of it)," Kiran Kumar said. "Basically, it (the satellite) is meant for providing communication and disaster support, connectivity among States (countries of South Asia region). It will provide a significant capability to each of these participating States in terms of DTH, certain VSAT capacity plus linking among the states for both disaster information transfer and also in terms of library type of things," he said. "So, there is a significant amount of inter-linking possible among the States (these countries)," Kiran Kumar said. According to ISRO officials, there is a potential for each participating country to use a dedicated transponder with a capacity of 36 to 54 Mhz for its own internal use. Each country would be responsible for content generation and its use, they said.